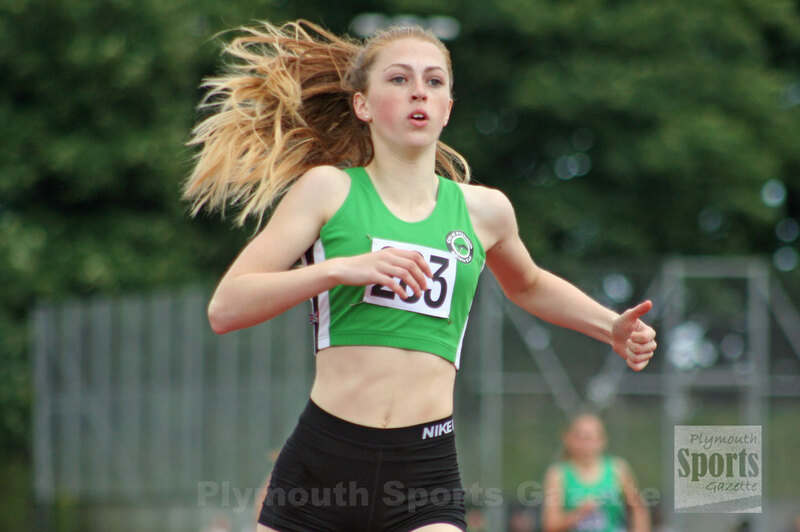 CITY of Plymouth’s Emily Bee set another personal best this season, while club colleagues Jonathan Edwards and Matthew Bradley were multi winners at the final Southern Athletics League meeting of the season. The joint City of Plymouth, Tavistock and Erme Valley Harriers team ended their Division Two West campaign with a home fixture at Brickfields. They were able to field their strongest side of the year, but it might not be enough for them to stay in the division. England international Bee has enjoyed a tremendous year. Her successes include winning the national indoor pentathlon title and gold in the 80m hurdles at the SIAB Home International in Scotland last month. Competing up an age group as a senior level, Bee had to settle for two second places at Brickfields, but she did set a new PB in the long jump. She leaped 5.54m, which ranks her 26th in the UK in that event at under-17 level. Bee currently tops the 80m hurdles, pentathlon and heptathlon rankings and is 16th in the high jump and also in the top 45 for 200m. She ran the 200m at Brickfields, where she took second in 26.2 seconds. Middle distance runner Bradley is another athlete who has been in top form this season. At the recent Devon Open meeting he set new PBs in the 3,000m and 5,000m and he followed that up by setting a new best in the 1,500m to take maximum points for his team at Brickfields. He clocked 4:08.5 to win the men’s A race. He also won the 2,000m steeplechase in 6:36.2, with Tavistock’s Bradley Stevens setting a new PB of 6:36.2 to win the B string. Bradley also showed his versatility by taking second in the 400m hurdles. He clocked 63.2, which was a season’s best. Meanwhile, Edwards, back from injury, dominated the throwing events. The Wales international won the shot, discus and hammer. He threw 14.28m in the shot, 43.14m in the discus and 57.48m in the hammer. 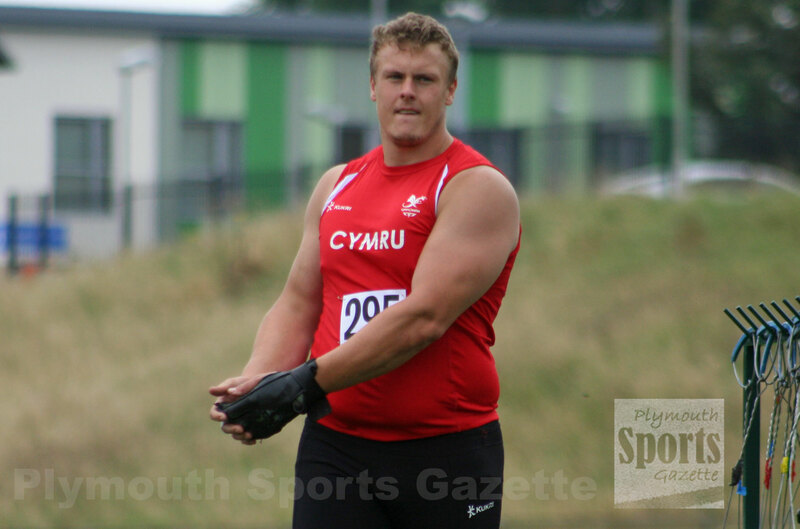 Also in the hammer, Charlie Shipton set a new PB for the 7.26k weight of 34.62m to win the B string competition, while Plymouth’s under-17 athlete Kayleigh Weston set a new PB for the 4k hammer – heavier than she normally throws – of 38.26m to finish second. Also in the throwing events, there was a PB for Tavistock’s Stevens in the javelin of 41.45m, while Ella Tomlin took second in the women’s discus with 30.40m. She was also second in the B long jump with 4.74m. Back on the track, City of Plymouth’s Brook Adnitt and Erme Valley’s Sam Peters both clocked 11.6 seconds to respectively win the A and B men’s 100m. In the 200m, Adnitt was second in the A race with 23.2 seconds and Peters won the B string with 23.4 seconds. Dean Smith won the A 800m in 1:58.1, while Nathan Brown came second in the A 400m with 52.5 seconds and won the B 1,500m in 4:15.9. 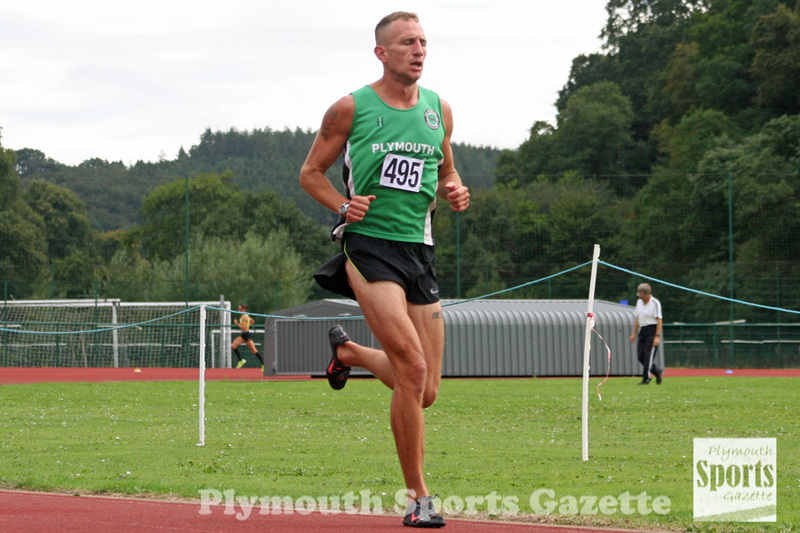 Plymouth’s Jake Hughes was second in the A 5,000m with 16:19.8, while Tavistock’s Will Dax won the B string. Fellow Tavistock athlete Tilly McDowell came second in the women’s A 2,000m steeplechase in 8:02.3, while club colleague Emma Ryder came second in the A 1,500m in 5:02.2 and also set a new PB of 61.1 seconds in the 400m. The women impressed in the relays, winning the 4x400m event and coming second in the 4x100m, while City of Plymouth’s Elliot Platt set a new PB of 5.92m to take second in the long jump. Toby Clayden was second in the B long jump with 5.79m and won the B triple jump with 12.02m.